Here is a “gentle time”. Sunlight through the cobbled walk struck the water we are viewing. Trees of green moving slowly. From somewhere there is a faint smell of incense. Yet the center of town, this taste and this quiet is a surprise curiously. While it’s created of the sum, skillfully Hiroshi intake was appearance. The furniture feels of history. And Saga’s unique cuisine of the four seasons, a number of carefully selected vessels complement it. 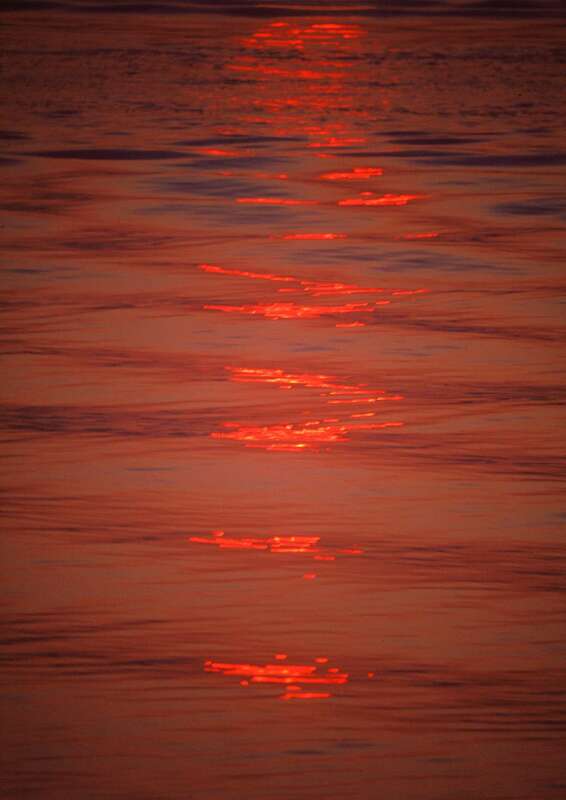 All of each other played comfortably, the “gentle time” in Akebono will be engraved. Painter Shigeru Aoki the beginning Japanese style modern inn that has been loved by the man of culture. 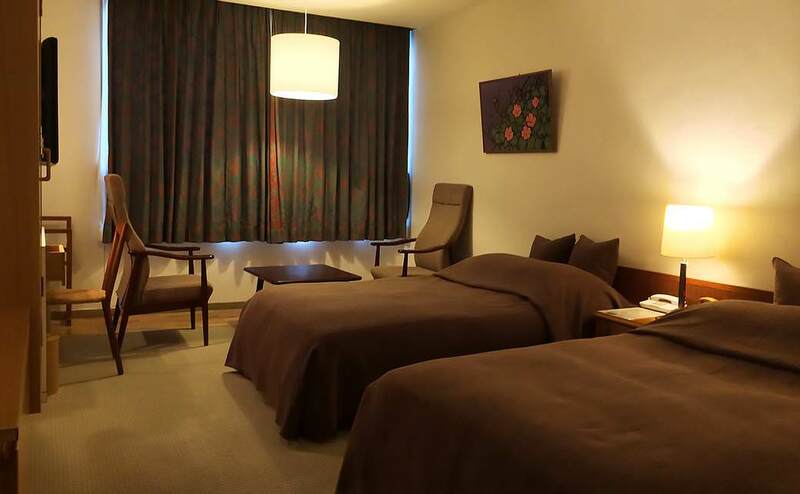 Located in the city center of Saga, we have excellent access for various transportation. It will be equipped with free Wi-Fi in all rooms. Please feel free to use from tourism to business. 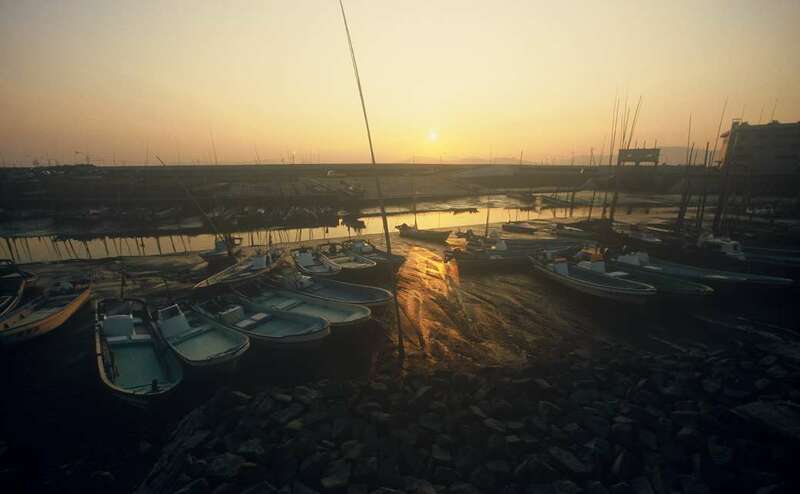 Use the rich ingredients of Saga’s agricultural superpower, and the Ariake Sea of seafood is a “treasure of the sea” from ancient times, taking advantage of the seasonal taste of seafood of Genkai-out wave height, it is the dawn specialty. Saga of taste, such as a “Mutsugoro” and “Mekaja” such as rare Ariake seafood, please slowly savor the local potters of inscription instrument was carefully selected. Tableware in the center of the local produce, the commitment vessel by the prefecture of ceramic art writer, I will put out. Please enjoy the taste of Saga in the visual and taste. 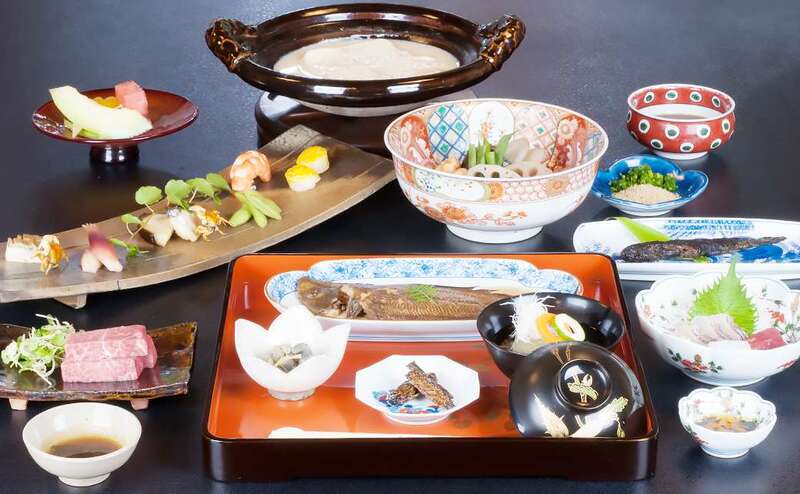 Dinner appetizers which treated the seasons, the Genkai production of sashimi, the Ariake Sea dishes such as “Kuchizoko” and “Mekaja”, Saga beef and the like-fired combined fresh vegetables put out to serve in bowls made by local ceramic artists. Please enjoy the vessel of Saga along with meals. “Shoji” and “tatami” warmth of Japanese-style unique. Fresh one wheel of flowers. And, furniture with calm will heal gently those tired of journey. Is your rate per person per night with two meals (service charges, excluding tax). Saturday, Sunday and the day before holidays will be 1,000 yen (excluding tax) up respectively. The difference of rates depends on the dishes. If accepted without meals. Please contact us. Please contact us for the price in the case of groups and organizations like. 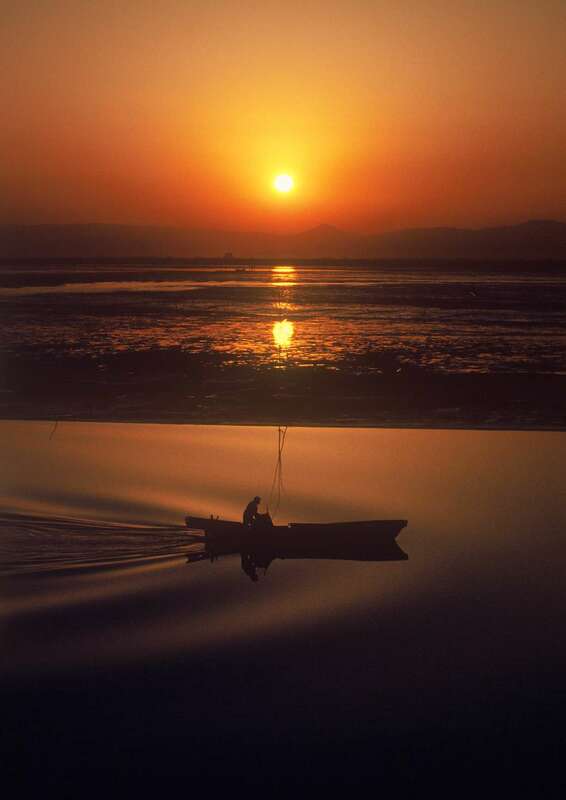 New Year, exam season, during Golden Week period, Silver Week period and Saga Balloon Fiesta (Japanese holiday and local event season) will be special rates. Please confirm at the time of booking. 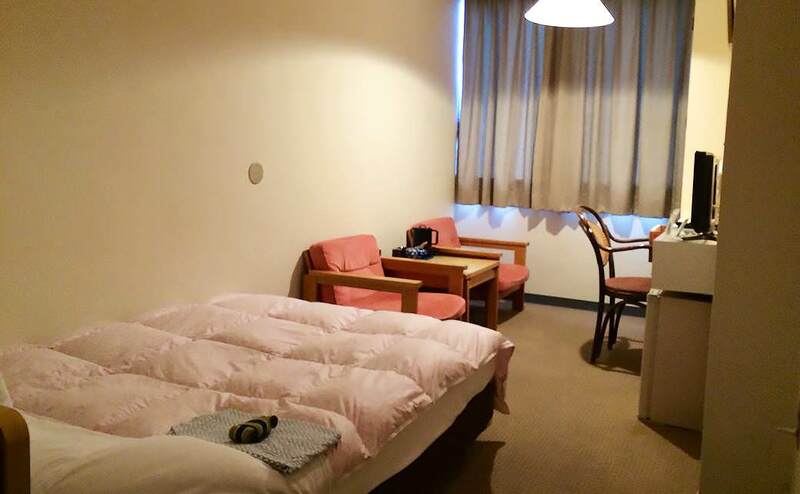 Japanese-style rooms are non smoking. Such as curtains and bed cover, it was thoroughly Stuck in materials and colors. It is a magnificent highly functional room, yet simple. This is your rate of one person room charge (service charges, excluding tax). Please contact us for the price in the case of groups and organizations. Breakfast is 1,000 yen (excluding tax) or 1,500 yen (excluding tax). 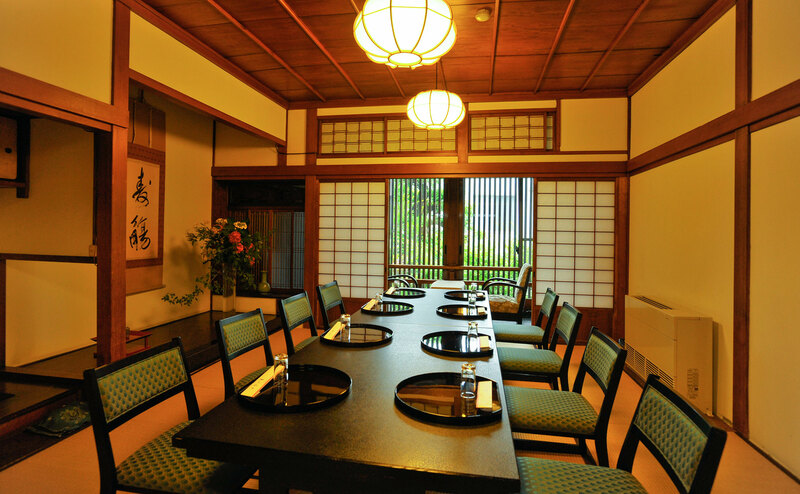 Dinner 3,000 yen or 4,000 yen meals (excluding service charge and tax), will be prepared in the dining room. Twin rooms are non smoking. Calm and peace is felt, the room is warm. It does not have a lift. We apologize to persons with weak legs. Single rooms are non smoking. Showa early made the quaint parlor room. It was previously used as guest rooms, making it the room to enjoy the current slowly and meals. It is also possible to offer a chair and a table in the parlor. Please your feel free to ask. It is a bath with a view of the three-way glass-walled basis garden. Hot water is the popular soft with customers. The lobby of the Japanese modern style by architect Shiro Ogata. 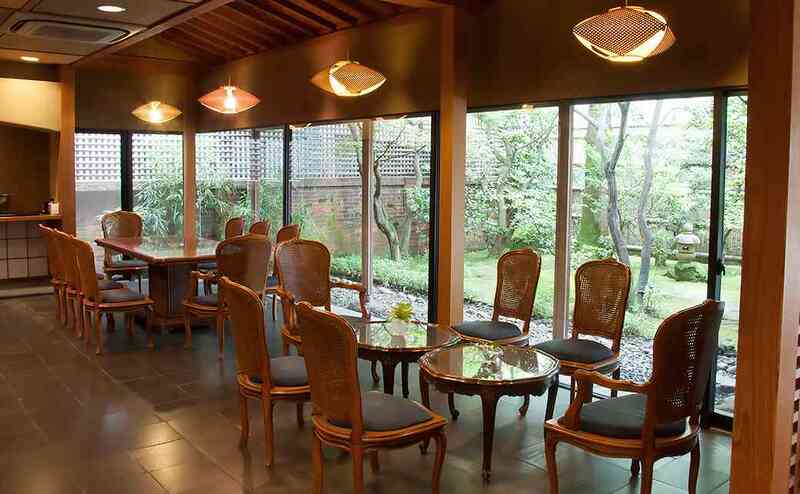 Overlooking the garden, which was made in the image of the Ariake Sea, you can unwind and relax. 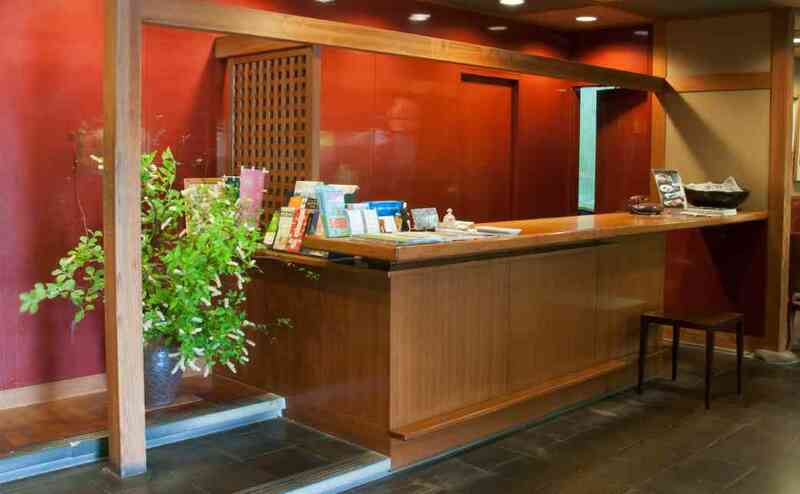 Front desk, which also serves as a cloak room, such as the pay desk of the old inn. 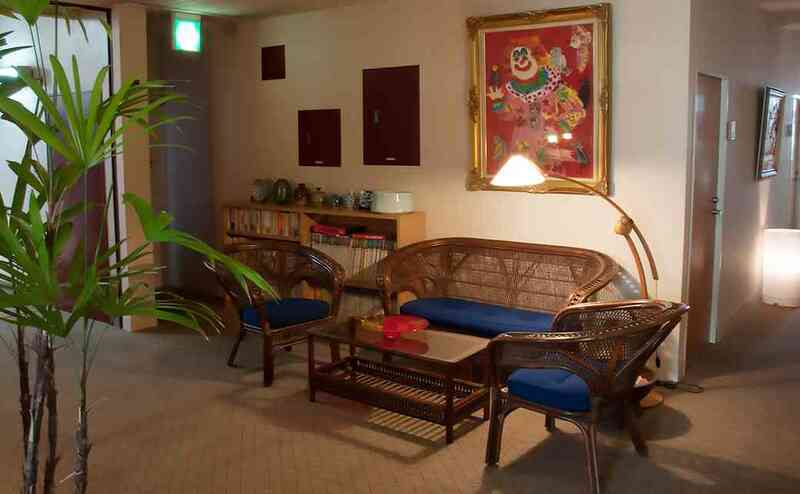 Tailored to the season, also you can see works of famous ukiyo-e artists. You can enjoy Hiroko Sugimoto’s oil painting work and a number of works of local ceramic artists. This is a space where you can enjoy a leisurely meal. 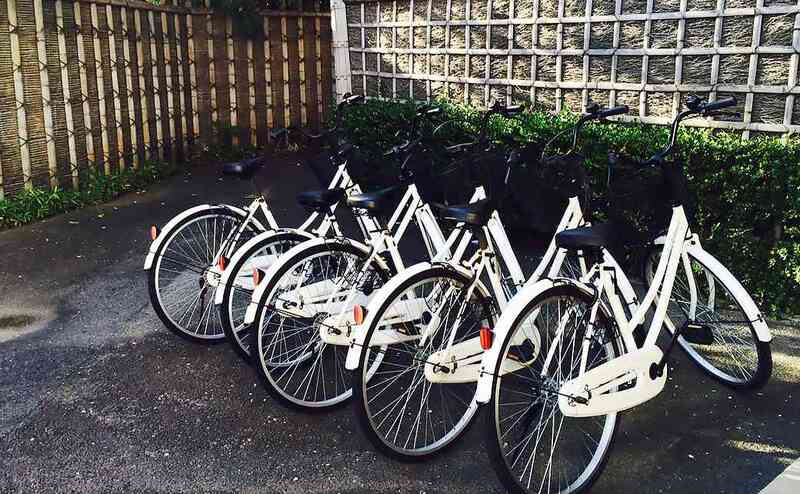 We have seven rental bicycle designed to be used for free offers. Please use all means, such as the city’s tourism. 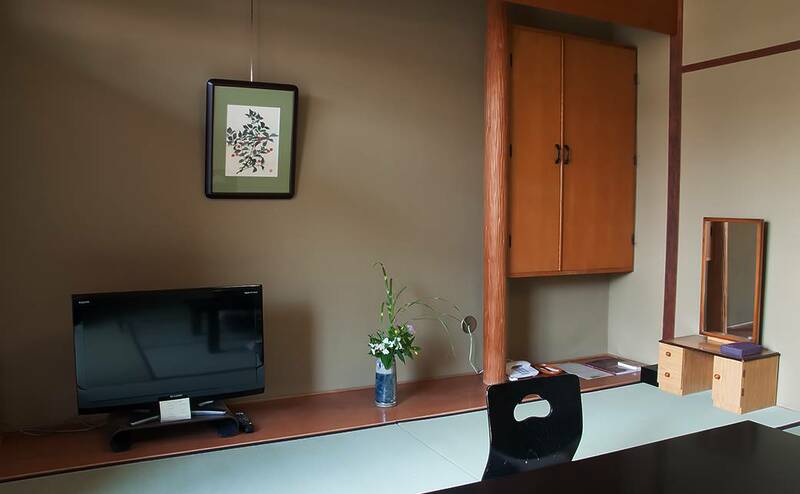 Company name Ryokan Akebono Co., Ltd.
Akebono is a short walk from JR Saga Station 20 minutes, located the distance of 5 minutes by taxi. Saga Station Bus Center for 1 hour at Nishitetsu high-speed bus to from Fukuoka Airport, the rate is 1,230 yen. 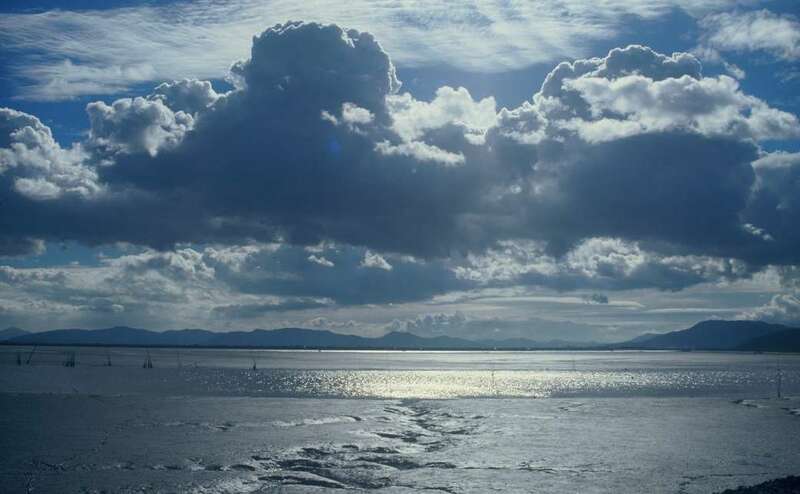 Ariake Sea is located in the northwestern part of Kyushu. 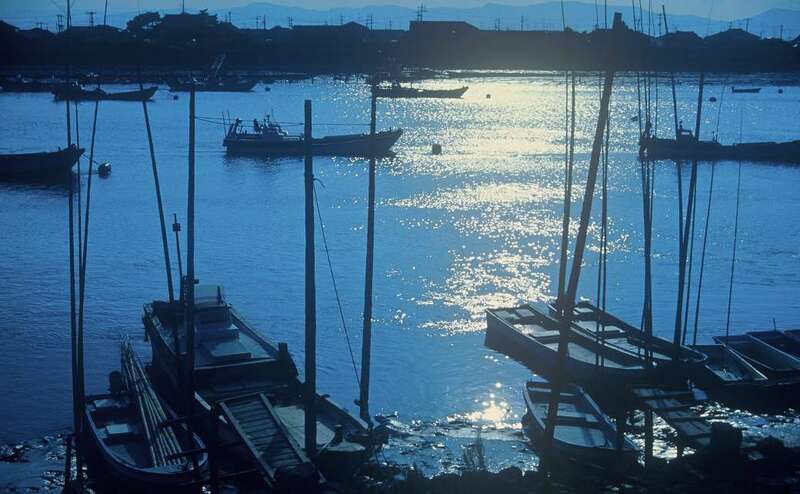 6 meters of water level difference between the low tide and high tide is the fertility of sea from ancient times in Japan. 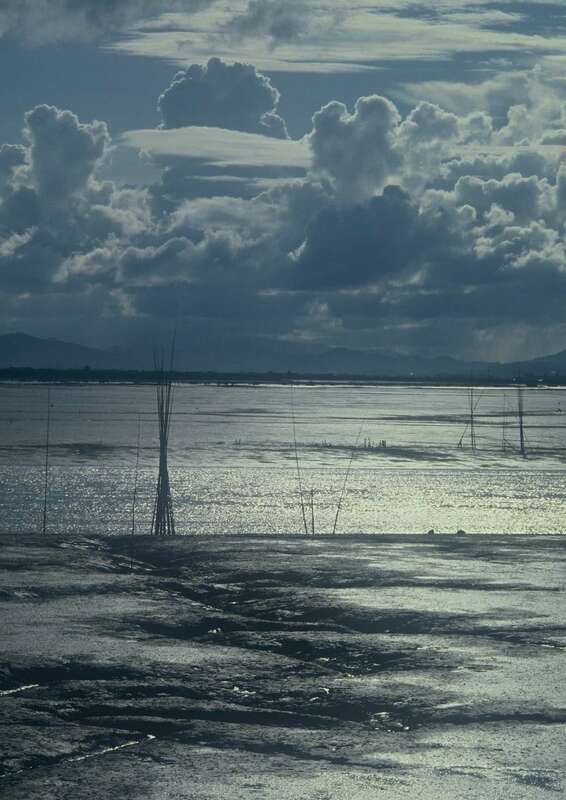 In the vast land reclamation at the time of low tide, goggle-eyed goby and Umitake, including the total angular, in Japan you can see a lot of fish and shellfish that do not live only here. Above all, Mekaja Write also woman Kaja is the green Shami Sen Guy is said to be the living fossil. 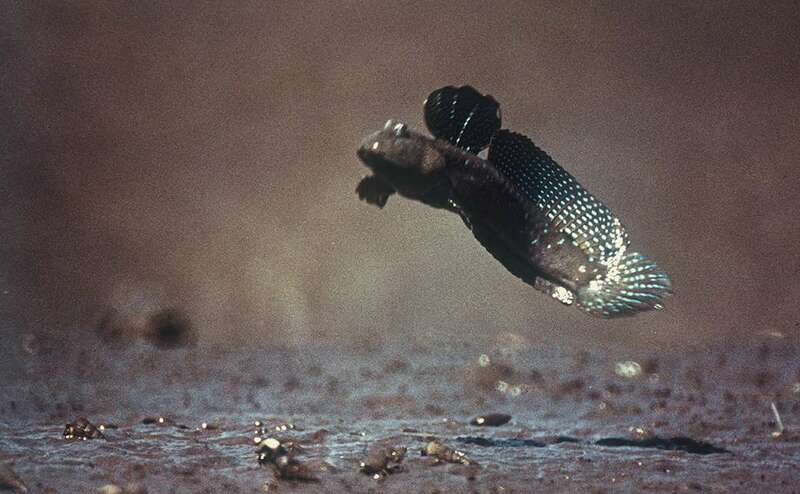 In addition, odontamblyopus lacepedii, which is the goby family of fish in the form such as eel, its grotesque Form is reminiscent of ancient fish, nibble and skinny the shellfish, such as sharp teeth with clams and clam like fangs. Both of these unusual seafood is delicious, it is regional cuisine at our hotel. Also, after the war seaweed farming is carried out, delicious Ariake Nori is now nationally famous as a luxury item. 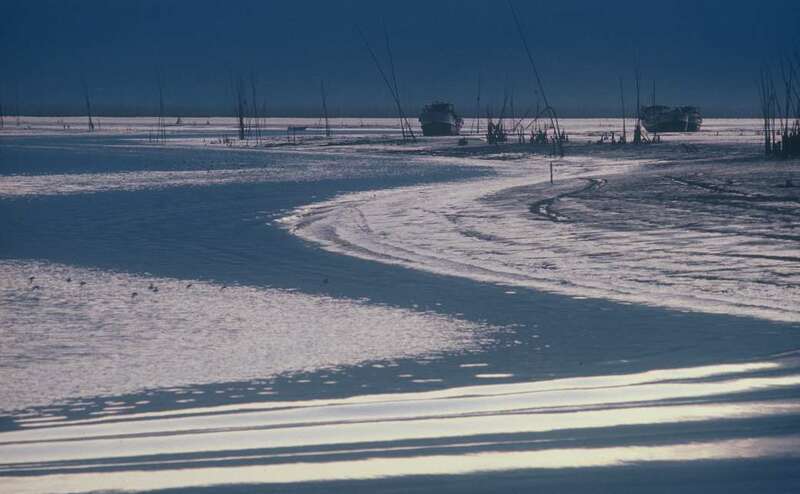 This rich was shown to the Ariake Sea, Third-generation president Mitsuo Otonari, was started going to the Ariake Sea to hand the camera than in 1955 around. 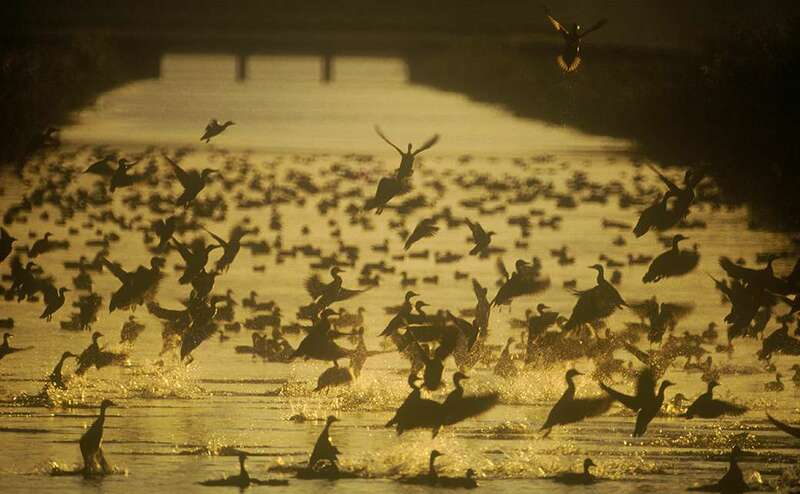 And, sad the Ariake Sea of travel of every year pollution, we continued to appeal through the media, etc. 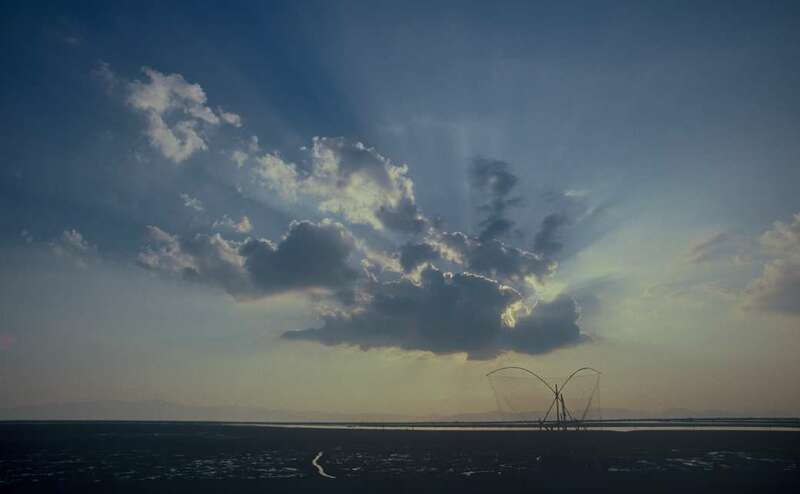 that you cherish the Ariake Sea of protection and nature. 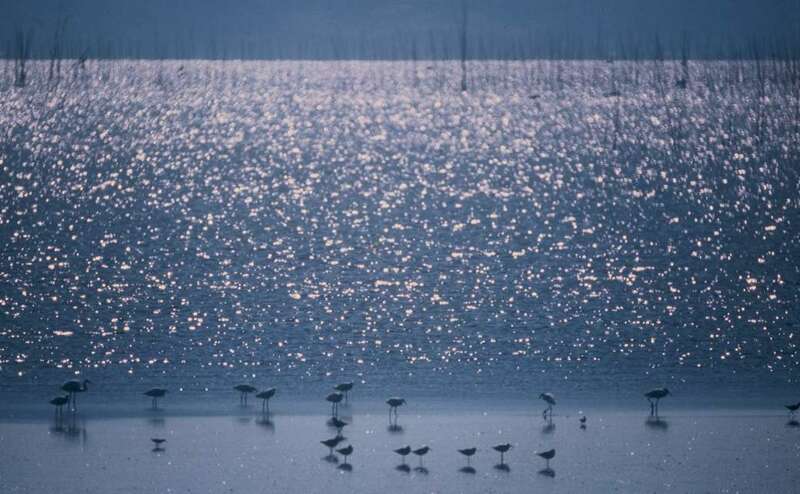 Seasonal, mysterious world, the Ariake Sea, which changes often. 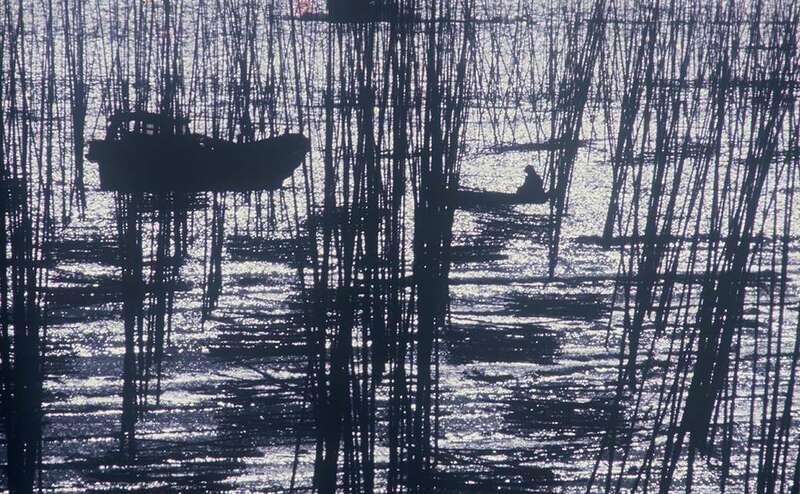 Photo taken as life work may reach about 60 million copies, it has also become valuable Ariake Sea of documentary photography now. 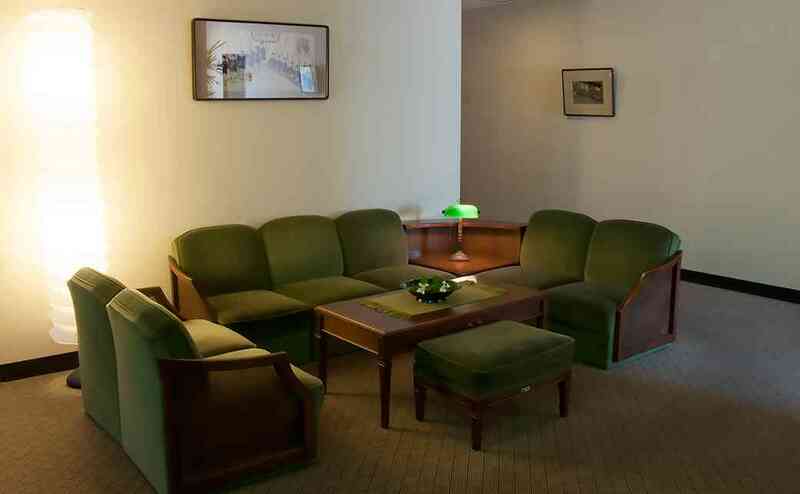 The hotel works in the lobby you can enjoy. August 1924 Saga born. Prefectural Saga Junior High School (now Saga Nishi Highschool), Nihon Jui-Chikusan University graduation. Prefectural government, teaching after working, he joined inn Akebono. Senior Managing inauguration along with the 1949 incorporation, in 1980 (with) Akebono became president. 1996 deaths. 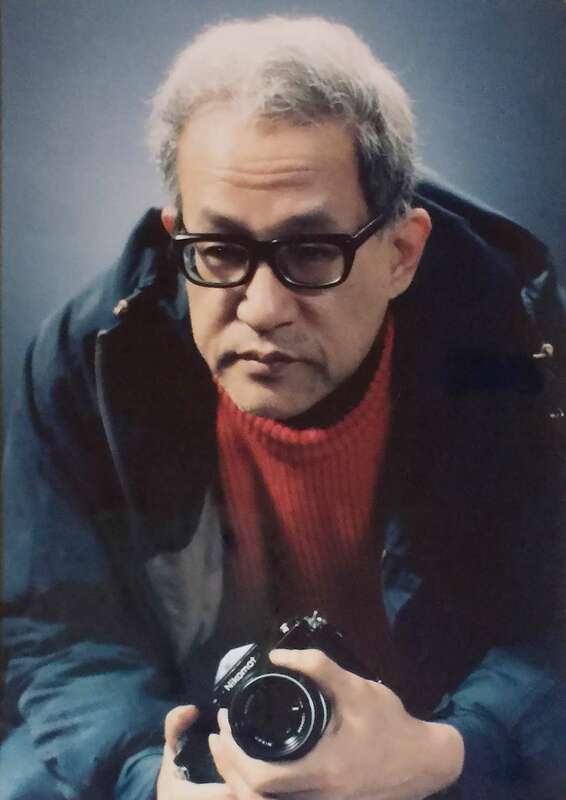 Beside the core business, including the shooting of the Ariake Sea in 1959, in 1983 he was appointed to Saga Photographic Society first president. 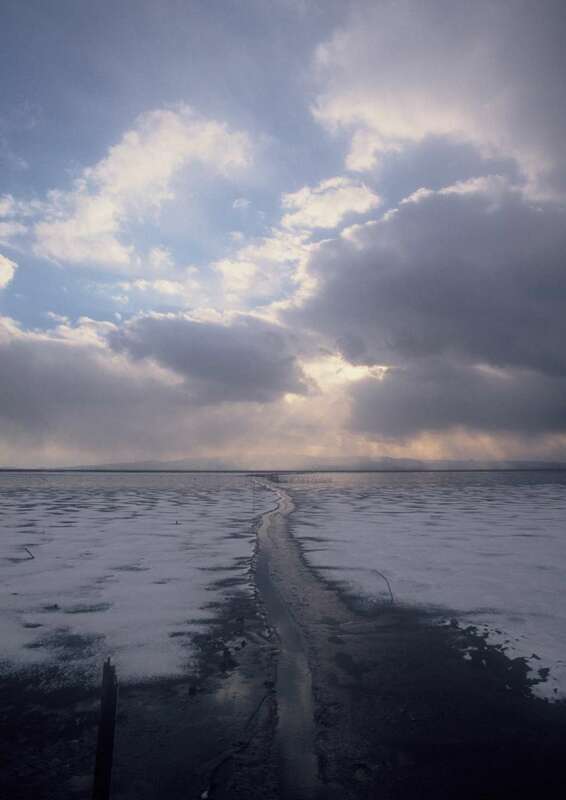 As well hit the leadership of the reverse as a photography club “Photo Salon” president, and went on to take the Ariake Sea and over his lifetime. 1889 Opened in Saga City Hakusan-cho of Nagasaki highway muscle. Founder is Tsune Otonari. 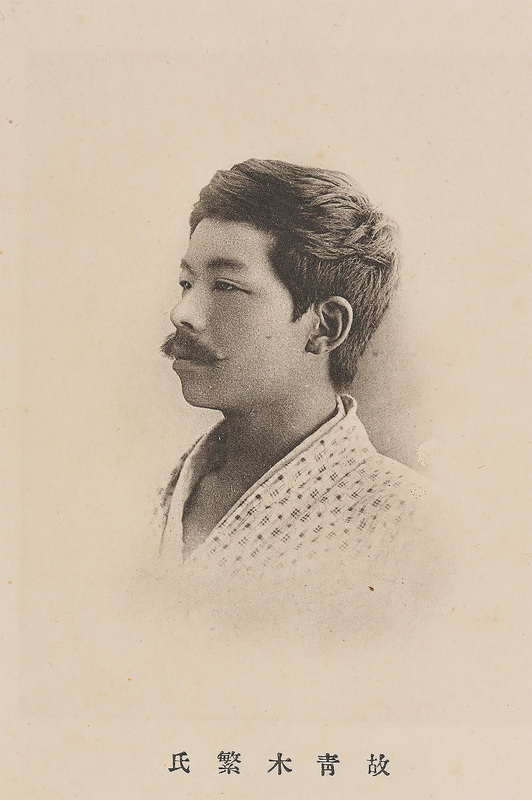 1910 Great success held the artists' association of genius painter Shigeru Aoki in April. Then Aoki stayed through September. 1920 Transfer to Hachimankoji (now the hotel's north parking lot). 1933 Construction of the current front building. 1949 It became a limited company. Taketsugu Otonari became president (second generation). Than before the war, former yokozuna of Tama-Nishiki, Chiyo-no-yama, Kagamisato, Wakanohana (first generation), Dapeng, many celebrities such as actor Hasegawa Kazuo Accommodation. 1971 Mitsuo Otonari became president (third generation). 1976 For the National Sports Festival of Saga held, the full renovation from the total Japanese-style building with a garden and pond. Rebar building of three floors and new construction. 1989 To machine the 100th anniversary, it renewed such as the front entrance to the Japanese style modern style by architect Shiro Ogata. Living national treasure - Yanagiya Small's teacher, held a 100th anniversary vaudeville invited Katsura Mikisuke mentor other. Urasenke Tankokai the cooperation of the Saga branch, and held the “100 Anniversary Tea Party”. 1996 Hisao Otonari became president (fourth generation). 2006 By architect Shiro Ogata, Japanese cypress bath and the new construction renewed first floor toilet, and the like. Painter representative of Romanticism trend of the Meiji era Japan painting. 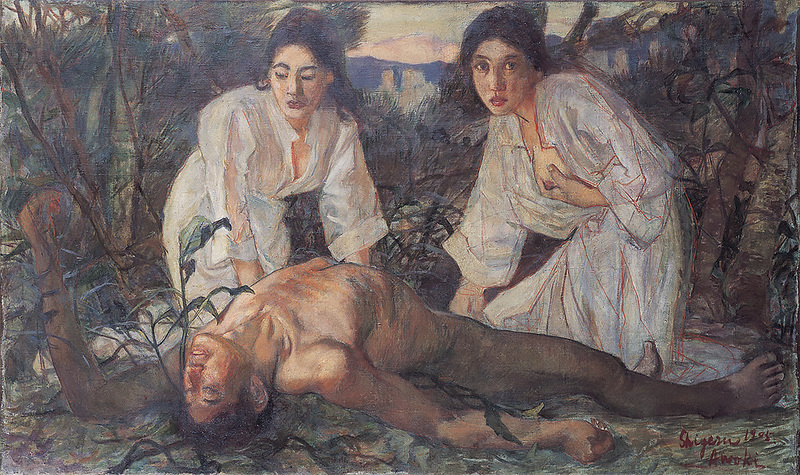 The masterpiece “Yomotsu Hirasaka”, “Self-Portrait”, "Tenpei Jidai", "Umi no-Sachi", "Ohonamuchi no-mikoto", "Yamato Takeru", "Wadatsumi no-Ikoro no-Miya", "Asahi". Artists' association of Shigeru Aoki was opened at our inn in April 1910, it was a great success. Shigeru Aoki stayed during a total of six months through September from the summer of the same year to Akebono. 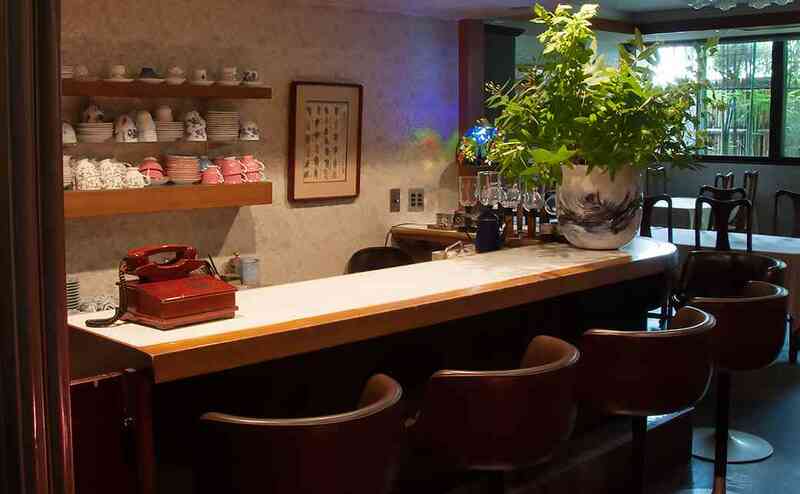 Aoki Saga wandering era, it is said that had been especially fond of beer and cider. 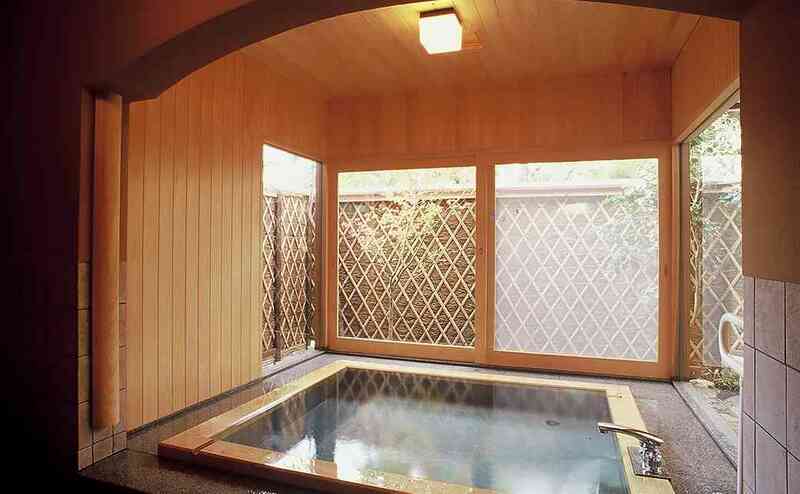 Masterpiece “Hot spring”, it was left in place inn fee. But we are not owned by now. If you have any questions, please contact us by phone (81-952-24-8181) or e-mail form. Copyright © 2019 Akebono all rights reserved.